To only confirm what we all already knew, there’s a lot that goes in to creating a character you, ultimately, see on the screen, big or small. As if Benedict Cumberbatch didn’t have enough of a ginormous hurdle to overcome in portraying Sherlock Holmes while being up against all the skeptics. First there were those that will always believe the great Jeremy Brett was the ultimate Sherlock Holmes. Then there are the purists that said this was blasphemy to set the greatest detective of all-time in the 21st Century. Now, he had to learn the violin. Enter Sherlock’s violin coach, Eos Chater of Bond. Unfortunately, most violinists start when they are 5 years of ages. 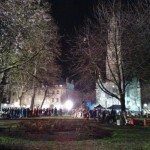 Benedict had a week to prepare for his performance in the final installment, “The Reichenbach Fall”. Attesting to the fact that the role of Sherlock consumed Benedict, Eos said: “When I give a tip, ­Benedict consumes it entirely. Information is his quarry; no wonder he’s such a good Sherlock.He’s a real perfectionist. Not content to just look convincing, he wants to sound convincing too- and despite not playing any instruments he’s very musical. By the third lesson, I am becoming familiar with his “locked on to target” eyes, and when it’s best to stand back and leave him to work it out for himself. Benedict would handle the violin carefully and say: “How would you lift it to your chin?”, “How would you play around with the bow?”, “Which way would you put it down on a chair?”. 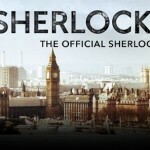 Eos’ complete account of her time spent coaching “Sherlock” is amazing. After reading, I’m so going to look at these scenes differently and, more closely, with great admiration as to what everyone involved went through to make this, already, the best television show that will come our way in 2012. 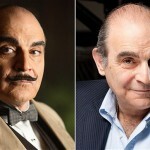 So, you want to be the next Hercule Poirot? Who are the 20 greatest Sherlocks of all-time? The Game is On – It’s time to be ‘SHERLOCKED’! You say New Years Eve. 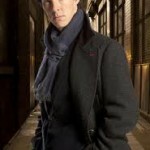 We say Sherlock Eve.